The old medieval Kirk of Girvan, which stood in the Old Street cemetary, was dedicated to St Cuthbert in the 13th century. After the Reformation of 1560 the Old Kirk continued in use as a Reformed Church until 1770 when a new kirk was built at the head of Hamilton Street, now known as Church Square. 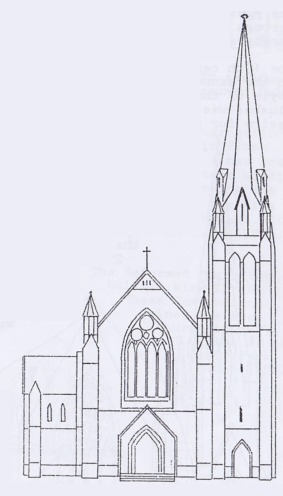 When built it was a small rectangular building on a north-south axis with a central pulpit against the west wall and pews on either side facing each other. In about 1800 the proprietor of the estate of Bargany built an addition on the east side, afterwards known as the Bargany aisle. The church form was now T-plan with three galleries each with its own entrance. The internal arrangements were somewhat primitive; the seats were narrow and very uncomfortable and there was neither session-house nor vestry. This kirk was demolished in 1884 when the present church was built. By 1836 the population of Girvan had risen to 5,300 and the congregation had become far too large Old Kirk to accommodate. As a result a Chapel-of-Ease was erected in 1842. This plain galleried hall was known as 'The Church on the Green' or 'The Green Kirk'. Following the Disruption of 1843 this kirk was occupied by a Free Church congregation. The Presbytery of Ayr eventually removed them in 1855. 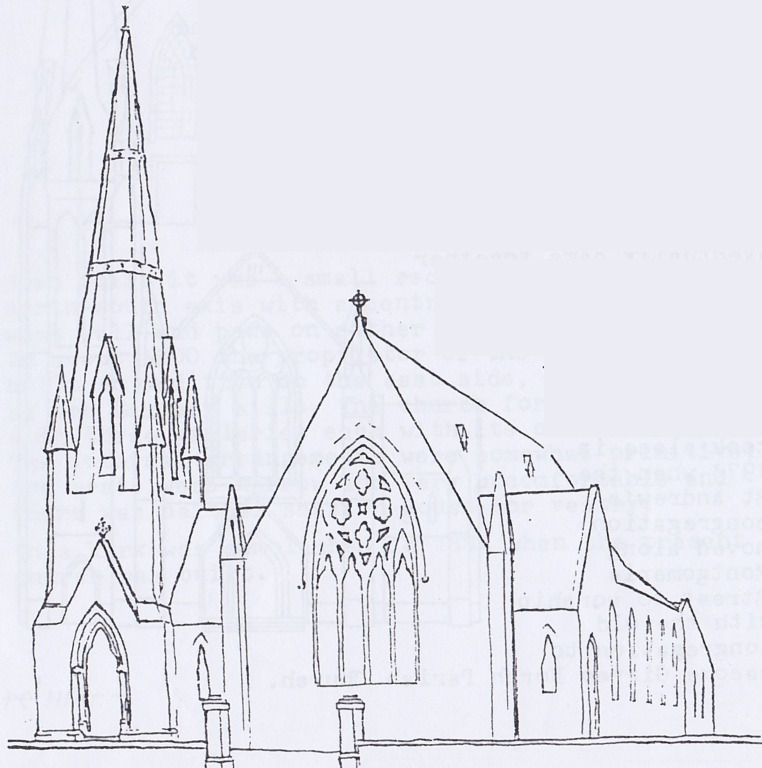 'The Green Kirk' assumed full Parish status in 1875 as Girvan South. Deprived of a kirk the Free congregation retired to their school room in Plumb Square (Chalmer's car park). A new Free kirk, designed by the architect William Gale, opened in 1857. 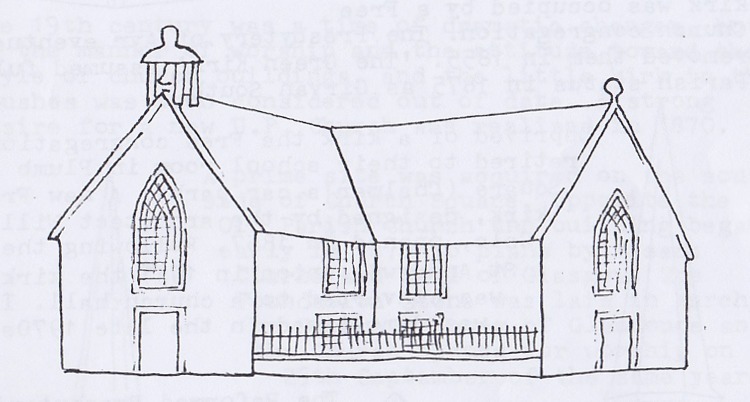 Following the St Andrew's union in 1947 the kirk was converted to a church hall. It was demolished in the late 1970s. The Reformed. Presbyterians built a kirk in 1847. These Cameronians joined the Free Church in 1879. The kirk is now Stair Park Gospel Hall. There was evidence of a small dissenting congregation in Girvan following the first secession of 1733, but they were not recognised by the Burgher Presbytery of Kilmarnock until 1812. Three years later their new kirk, an austere little preaching 'box', opened in the Flushes (between Old Street and Bridge Street). Through union with other 18th century seceders these Burghers became United Presbyterians in 1847. The 19th century was a time of dramatic changes, both in the manner of worship and the attitude toward the style of church buildings, and the little kirk in the Flushes was soon considered out of date. A strong desire for a new U.P. Church was realised in 1870.
by George K Young of Glendoune and the Church opened for worship on 25th September of the same year. Vacated in 1973, this very attractive kirk was abandoned and was eventually demolished in 1996. With a fine new United. Presbyterian church opposite it was not surprising that there was a strong wish among the Old Parish congregation for a new, larger, more comfortable church in which to worship. In 1882 a petition, signed by members and adherents, which was sent to the heritors proved successful and architects were invited to submit plans for a new church. The winners, from a large number of competitors, were the Glasgow firm of Messrs McKissock and Rowan. Building commenced in May 1883 and the Memorial stone was laid by the Countess of Stair in October of the same year. The church opened for worship in September 1884. Following the union of the Free Church 4nd the United. Presbyterians in 1900 the two United Free congregations continued to worship in their own churches - the U.P. element was known as Trinity and the former Free as Chalmers. For eighteen years after the union of 1929 the Established Church had four Parishes in the town. Trinity and Chalmers eventually came together in 1947 to worship in Church Square and Trinity was rechristened St Andrew's. 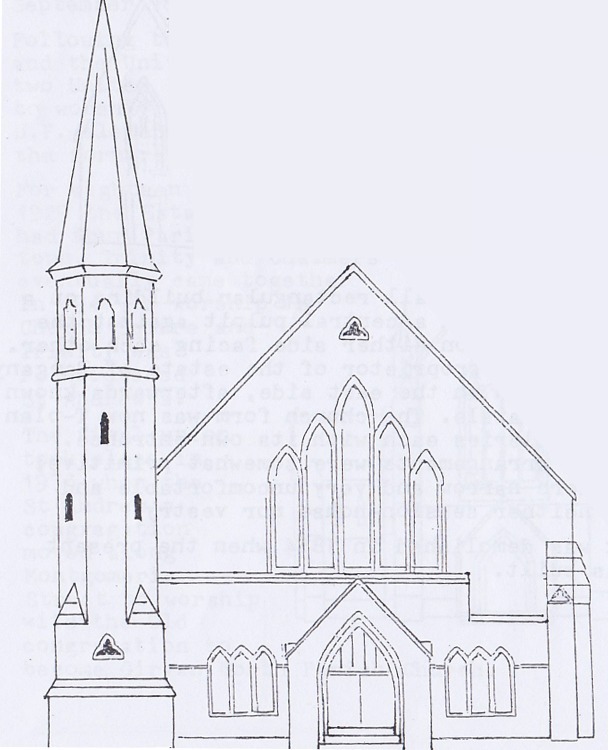 The final union took place in 1973 when the St Andrew's congregation moved along Montgomerie Street to worship with the Old congregation to worship with the Old congregation to become Girven North Parish Church.